No matter how many new ad networks enter the market, it’s almost next to impossible for them to outrank Google AdSense as the best ad network in the world. Many bloggers and internet marketers from all over the globe use it as their primary income source. The number of website owners is growing swiftly with each passing year, putting extra pressure on everyone to maintain steady growth in their earnings as the competition bites into their traffic sources. If you’re also an AdSense publisher and want your earnings not to get affected by the rising competition, then design an AdSense optimized website right away. The easiest way you can do it is by opting for a relevant WordPress theme. In this post, we have listed 25 most popular AdSense friendly themes that bloggers can install on their sites and get desired results. You can take a look at them and select the one that goes well with your requirements. If you run a blockchain based site and cover regular updates related to bitcoins and other popular currencies, then Crypto is a perfect solution for you. It will not only give your site a professional touch but also ensure that whatever content you publish appears attractive to readers. 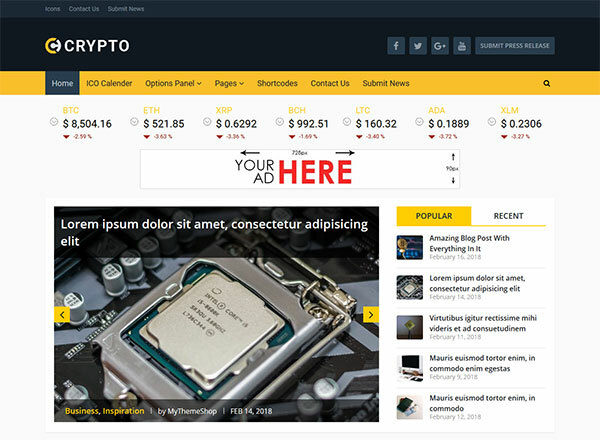 The Crypto theme is mobile-friendly, search engine optimized and comes with dedicated ad space to increase your earnings by a significant margin. Have a go at it and achieve positive results without putting any extraordinary effort. 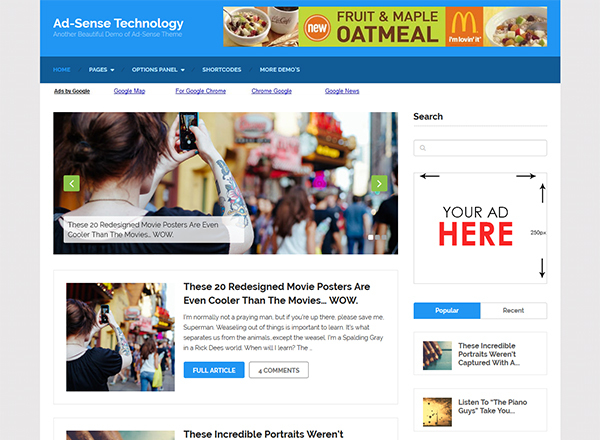 Ad-Sense is undoubtedly the best AdSense friendly theme you can ever find in the market. 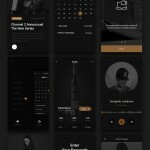 It’s lightweight, fully responsive, attractive, and fast loading. Moreover, it has features like unique ad placement, ad blocker detection, ad management and content blocking on browsers which have ad blockers activated. This theme has the potential to increase your ad CTR and revenue by a considerable margin. Give it a shot and notice an immediate change in your site’s performance. 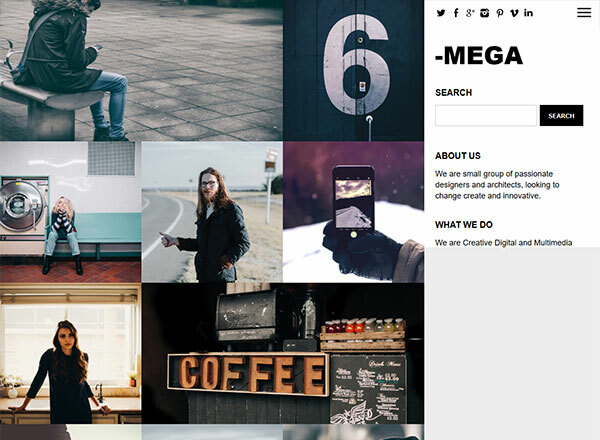 If you run a photography agency and want to give a unique touch to its official website, then Mega is the best option to forge ahead with. This beautiful WordPress theme comes with a minimalistic design to improve your site’s performance on different devices. Other features include custom colors, responsive background, flexible sidebar, useful widgets, responsive layout, and what not. Do you run a fashion or lifestyle blog and want to transform its appearance completely? If yes, then try out Styled Mag Pro without thinking much. It’s an SEO friendly WordPress theme that can increase user engagement on your site and ensure that you can generate more ad revenue than ever without putting any extraordinary effort. Running a news site is not an easy job. 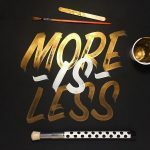 Apart from feeding it with regular content, you also have to make sure that it’s lightweight and minimalistic without compromising the overall appearance. Unless this is done, your site may not perform up to its potential. That’s where a WordPress theme like NewsPress can prove to be handy. It’s powered by a beautiful homepage layout, flexible sidebars, attractive typography, dedicated space for third-party ads, and a powerful site customizer. NewsPress is SEO-friendly and loads very fast on smartphones. 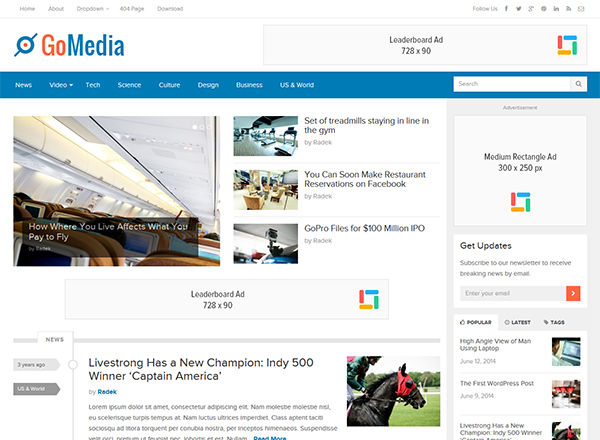 Go ahead with it and improve your news site’s performance easily. 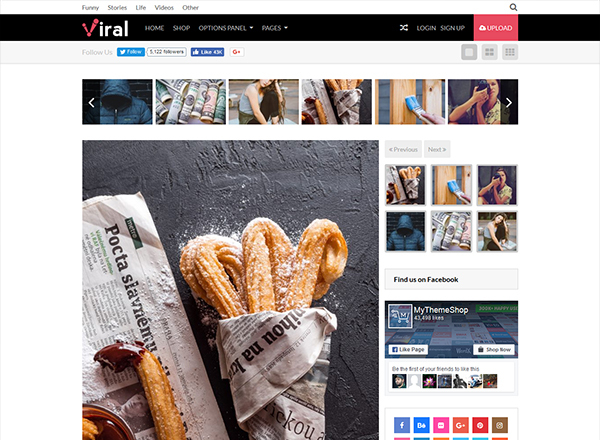 Viral is one of the most search engine friendly and attractive WordPress themes that can turn your viral niche site into a traffic puller. 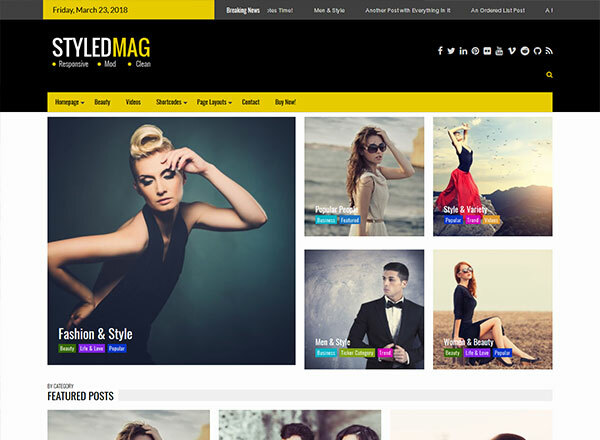 This stylishly designed theme comes packed with many features such as galleries, carousel, typography, powerful site customizer, and multi-browser support. Many bloggers and internet marketers struggle with keeping their native ad earnings consistent. 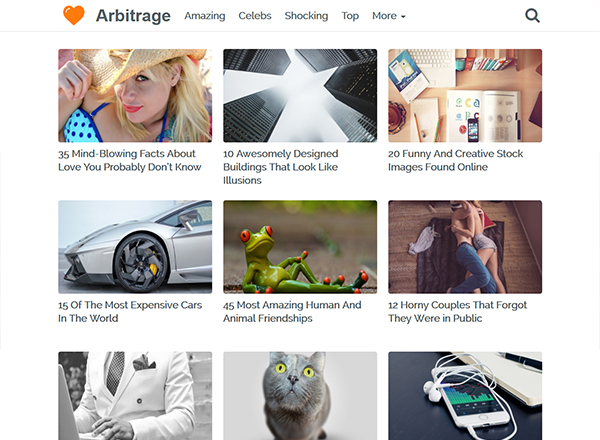 If you use native ads on your site and want to avoid such a situation, then opt for the Arbitrage theme right away. It’s lightweight, mobile optimized, attractive and fast loading. Just insert ads between posts and Arbitrage will do the rest. Osnic is a minimalistic WordPress theme, comprehensively designed for those professionals who wish to increase their AdSense and affiliate earnings without putting any extraordinary effort. 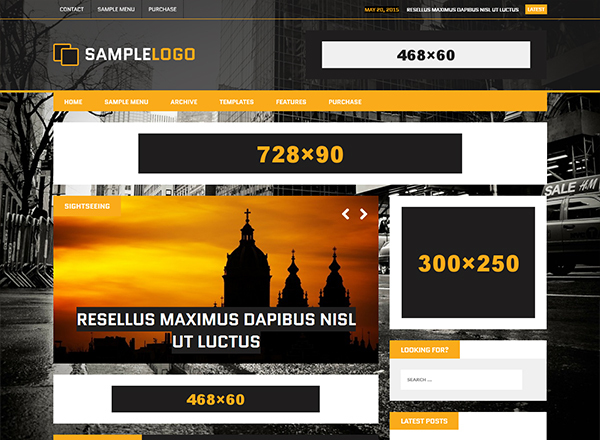 It is powered by three different ad types – image link, HTML code, and slider ads. Osnic comes with more than 25 ad placements to skyrocket your earnings and help you create a sustainable income stream in the long run. 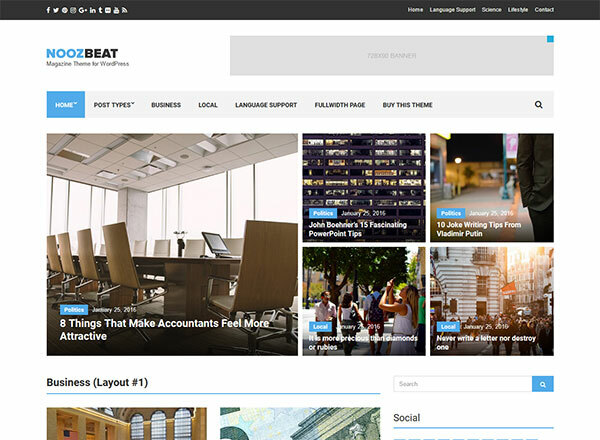 Noozbeat is an aesthetically designed WordPress theme having a fully responsive layout and many SEO-friendly features to rank your site high on search engines as well as increase AdSense earnings. Its homepage layout is attractive, and the theme panel is powerful enough to let you make the necessary changes in the site design easily. SocialNow is a popular name among site owners who receive a lot of social traffic on their blogs. It has an attractive navigation bar and multiple community tools to help you get tons of social signals. Moreover, it’s search engine friendly and mobile optimized. 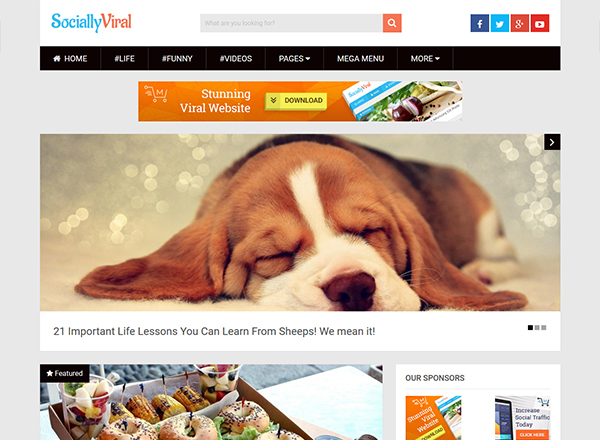 Best fit for tech, viral, lifestyle, general or multi-niche sites. 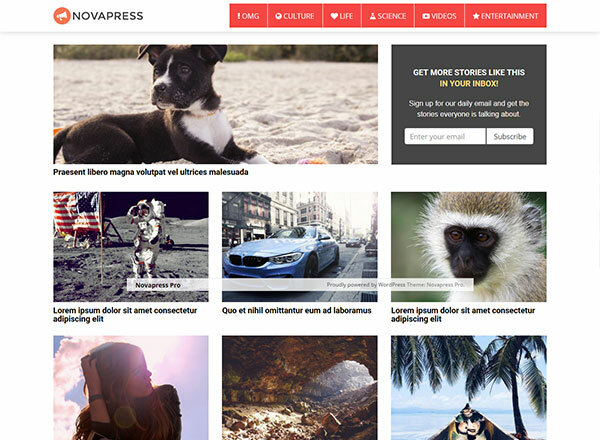 It’s a powerful WordPress theme exclusively designed for those who wish to give a contemporary design to their sites. 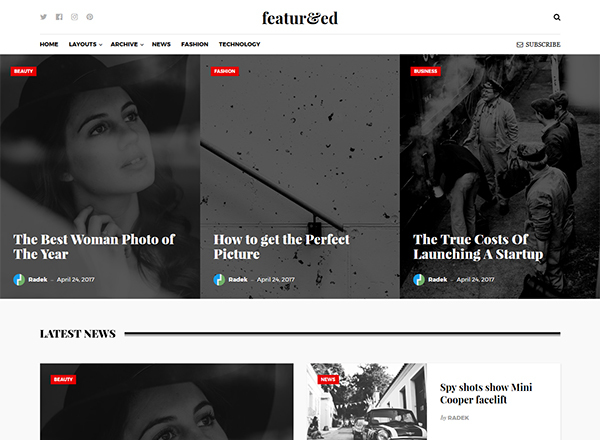 Featured is fully-customizable, has many useful widgets and can showcase your content attractively to readers. 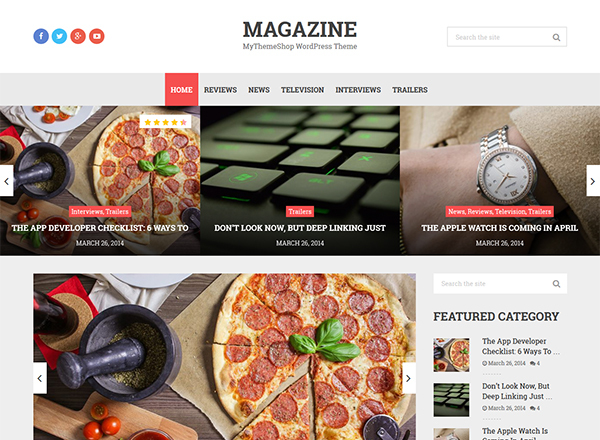 Overall, a brilliant theme to build a new-age digital publication. If you happen to be a search engine optimization expert or an editor, planning to monetize your site efficiently, then Grimag is a perfect WordPress theme to go ahead with. It comes with many ad placement areas, customization options, and other necessary features to drive tons of traffic to your blog. 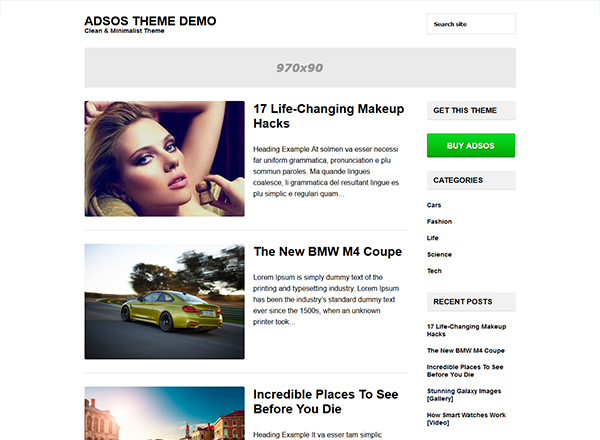 As the name suggests, Adsos is a useful theme designed especially for those who are looking forward to increasing their AdSense earnings this year and many years to come. It’s fast-loading, easily customizable, mobile responsive, and search engine friendly. 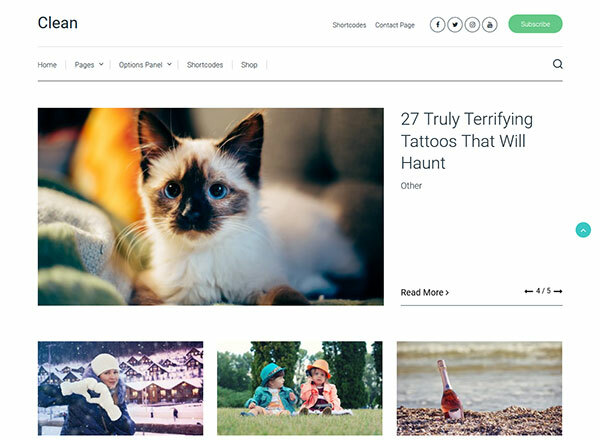 Flexible sidebars, attractive color combinations, unique homepage design, and endless customizable possibilities make GoMedia one of the most useful WordPress themes in the market. It not only increases user engagement and earnings but also helps you retain users in the long run. Check it out, and you’ll know the difference. 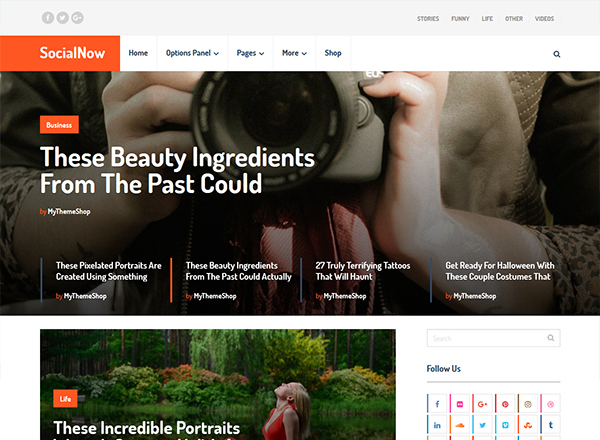 One of the most beautiful, engaging, SEO-friendly and responsive WordPress themes in the market. It has a whole slew of features to increase social signals on your site and drive a lot of traffic to it from various social media platforms on a regular basis. Install it once and watch your search engine rankings touching newer heights. If you ever thought of starting a viral news site, this is your chance to do it. Design a beautiful viral site with Novapress in a hassle-free manner. It comes with a fully responsive grid layout, fantastic homepage design, attractive social sharing buttons and much more. MH Squared is an exquisitely designed WordPress theme that comes with many useful custom widgets, dedicated ad space, beautiful backgrounds, powerful site customizer, user-friendly theme panel and a mobile responsive layout. It can be used on digital magazines or online publications covering different niches. 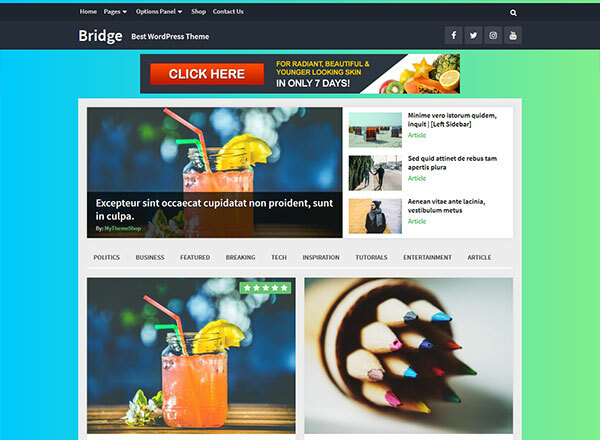 Bridge is a sublimely designed theme that features fast loading speed, multiple layouts, fully-optimized ad system, and many other world-class functions to ensure you have a great time running a website in the health, viral, news, technology, sports, blogging or any other niche. 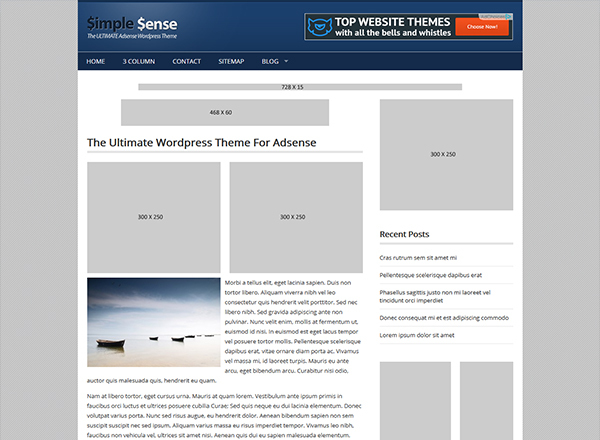 Simple Sense WordPress theme is exclusively designed for those who are looking forward to multiplying their AdSense earnings this year. It comes with over 12 targeted ad positions, unique per-post based ad-options, two & three column layout, dropdown & custom menus, multi-browser compatibility and what not. Download Simple Sense once and use it on as many sites as you want. 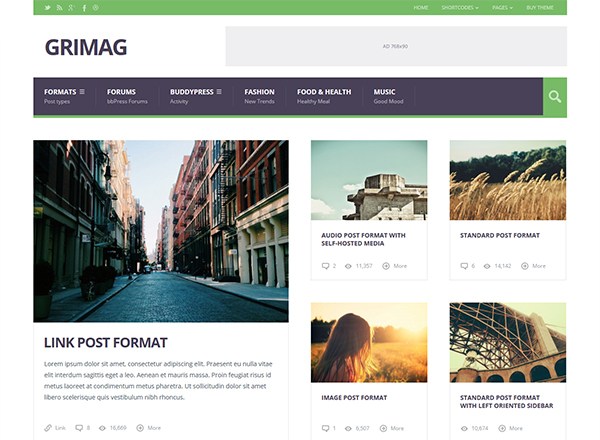 If your site has a massive volume of content to display, then go ahead with the Magazine WordPress theme and showcase your content delightfully. It’s a great theme to increase user engagement and ad CTR without putting any significant effort. 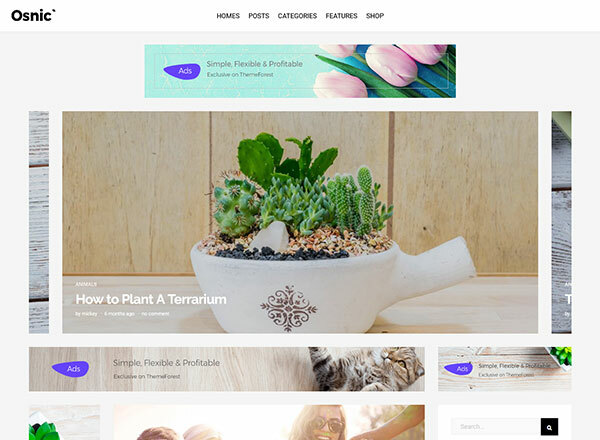 BlogSpring is one of the most beautiful and highly customizable WordPress themes in the market. It features unique color combinations, lightweight design, flexible & dual sidebars, custom page & post layouts, and a powerful admin panel. 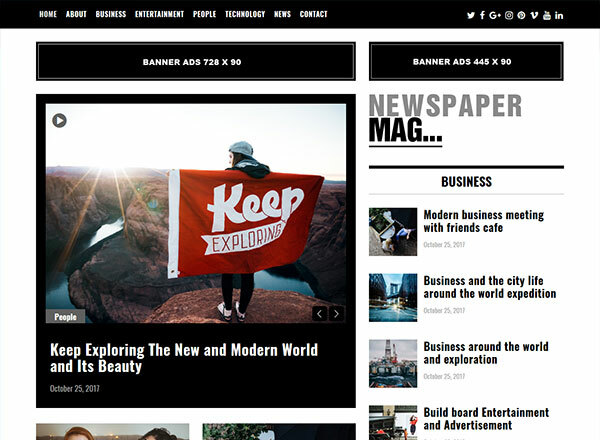 If you’re running a news blog or a newspaper site, then this is the best WordPress theme you can install on your site. 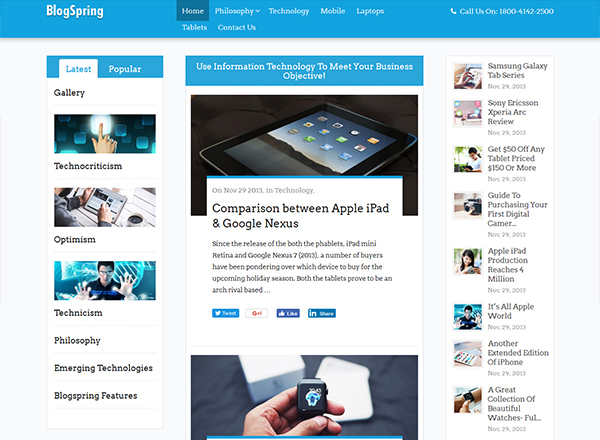 It’s beautiful, responsive, comes with dedicated ad space, has a custom sidebar and loads fast on smartphone devices. One of the most stunning WordPress theme having many world-class features, SEO friendly design, unique typography, slider homepage layout, powerful theme options panel, and what not. 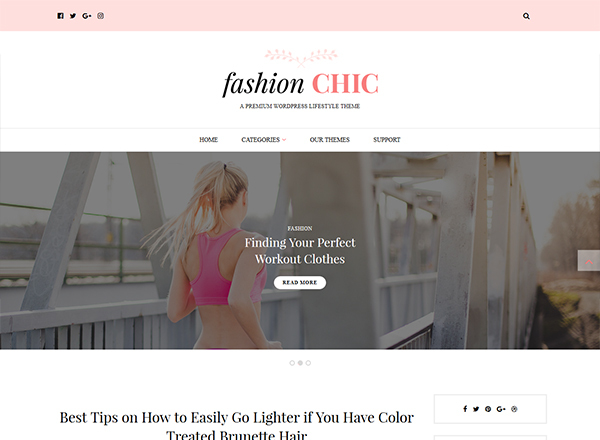 Install Fashion Chic on your fashion or lifestyle blog today and give it a subtle touch. Clean is a new-age minimalistic WordPress theme that is designed exclusively for those bloggers who like clutter-free websites without compromising user experience. With so many world-class features and customization options, you can use it on sites in different niches and achieve top class results. 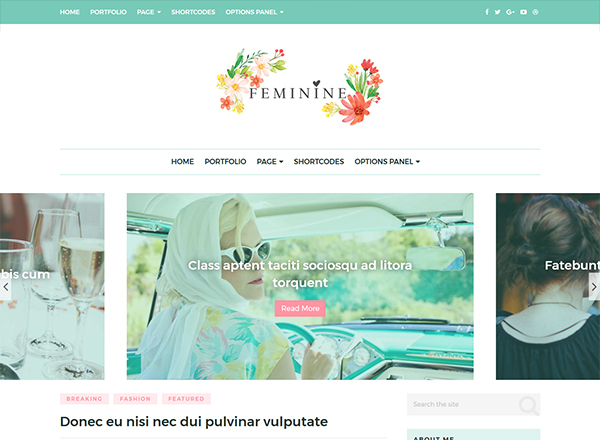 Feminine is one of the very few WordPress themes out there in the market that syncs well with sites covering women oriented stories, issues, and product reviews. It’s search engine-optimized and mobile responsive, ensuring you never lose any traffic whether it’s coming from desktops or smartphones. So, opt for any of these themes depending upon your requirements and take your AdSense revenue to newer heights this year.